with a fire and a clear sky!" "Perfection. See you next time!" "The garden is a great place to explore"
"Well-equipped and stylish, comfortable too..."
Escape to the tranquility of West Wales. Welcome to Glanyrafon, a stylish and comfortable thatched holiday cottage in Ceredigion, within walking distance of the sea. 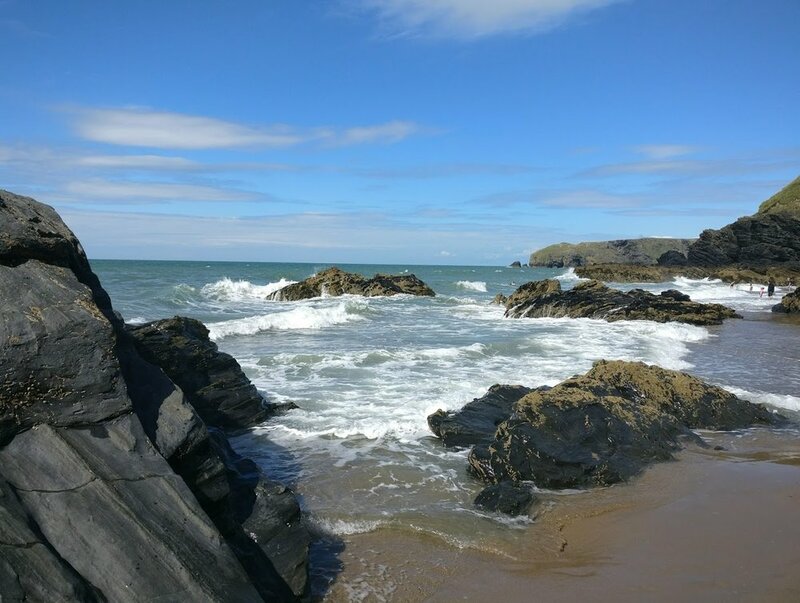 Near to the famously unspoilt beaches of Ceredigion (Llangrannog, Penbryn, Aberporth, Tresaith) and the stunning Pembrokeshire Coast. Near to picture postcard pastel-painted seaside towns (Aberaeron, New Quay). Located in a 'hidden' valley, near an unpolluted sea, and bays where dolphins and seals swim. A short walk to the Wales Coastal Path. Next to a babbling brook which flows over a medieval ford, crossed by a weathered stone bridge. Clean air, and skies where red kites and buzzards soar. A weathered limewashed cottage built of stone, clay and thatch. Restored to offer modern comforts, yet preserving vernacular styles, timeworn beams and stones worn smooth by the passage of time. A retreat, a place to unwind, to contemplate. A base for unspoilt beaches, great restaurants, and a historical landscape - Yet easily accessible by road. An ideal base for walking, for beach activities, for nature and wildlife lovers or just for re-charging your batteries!